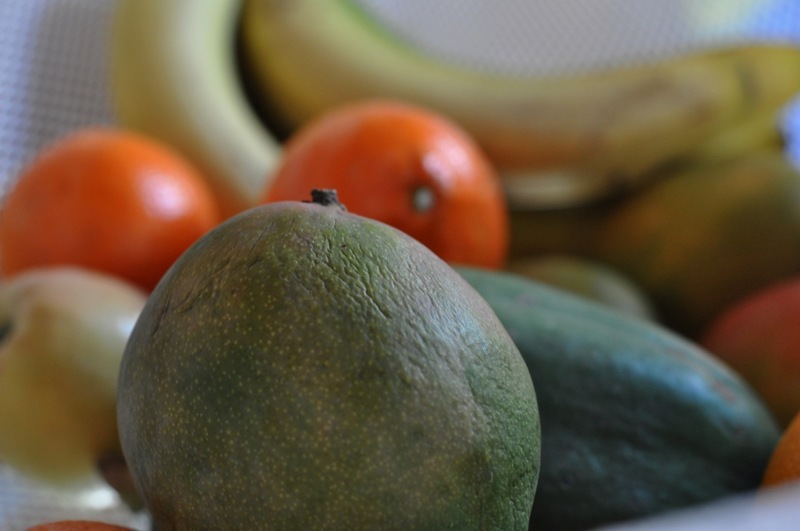 There’s nothing like a fruit net full of mangoes, papayas, bananas, and tangerines! I may be making something with this sucker next. Welcome to week 2 (or is this week 3?) of my time in the Bahamas. Is it so wrong that being here has kept me from blogging? There are cays to visit, treacherous passages to sail, and island ways to learn. Since crossing the gulf stream into this otherworldly place, Lee and I have visited Grand Bahama Island, a couple of spots in the Berry Islands, and Nassau. We actually arrived in the bustling capital more than a week ago but needed to accomplish a long list of things before moving on. Tomorrow, hopefully, we will cross the banks to the Exumas and spend the remaining month or so before our wedding exploring those fabled isles. Food wise, the Bahamas are fascinating. Big, beautiful Conch shells lie in heaps as evidence of the local obsession with their meat. Conch fritters, burgers, salad, and fried Conch are sold in ramshackle stands on Nassau’s Potters Cay and in restaurants serving local cuisine. I’m a little embarrassed to admit that I have not tried any preparation of the Bahamians favorite mollusk yet. Conch salad, a raw, ceviche-like concoction, appeals to me the most. I know we will encounter local joints selling it in the Exumas so I’ll work up the courage to try some. Other than Conch, fresh seafood available includes Grouper and lots of Snapper. Lee and I bought a Snapper and had it fileted at the Potters Cay market (where fishing boats come to sell their catch and produce arrives from the out-islands). We cooked it on the grill with some of the sour oranges that a produce vendor recommended as a seafood marinade. It was delicious! Peas and rice is the side dish of choice on the islands. As a vegetarian, I have to wonder whether there’s ham involved. Macaroni and cheese is another stand by and I hear great things about island-style bread. The supermarkets in Nassau and Freeport are similar to US stores but their stock is limited. I could only find one carton of plain yogurt on my main provisioning trip but when I went back the next day they were stocking the shelves with a new shipment. Baking…yes, I’ve done some of that. I made cinnamon rolls the other day but they did not turn out well enough to be blog-worthy. I know today is Valentines day and I have some chocolate cupcakes planned for my valentine! The recipe I have to share today is not a local dish or my usual baked fare. It is so simple that I’m sure I’m one of the last kitchen-oriented people to make it. Still, I am so proud of myself for pulling this off. 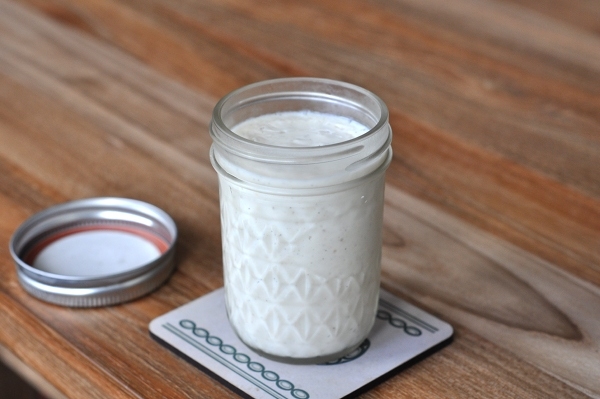 I made plain old vanilla pudding from scratch! That may sound ridiculously easy but for someone who has never done it before and has limited experience with cornstarch pudding is a great feat. I’m a bit of a pudding addict (when there’s no ice cream around) so I carry lots of instant Jello pudding packs on the boat. Still, it seems silly to make instant pudding when all it takes to make it from scratch is milk, corn starch, salt, sugar, and some flavoring. I went with plain vanilla flavor and stuck to a simple cornstarch thickened recipe. Adding eggs for richness is the next step. I’ll move on to that when I’ve perfected this formula! There are a zillion recipes for pudding out there. 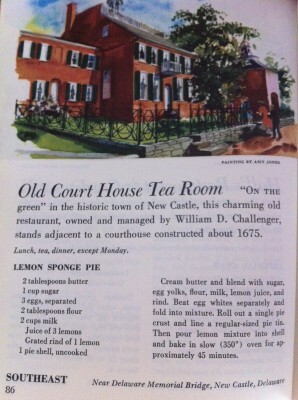 I consulted Joy of Cooking but went with the recipe in Laurel’s Kitchen. 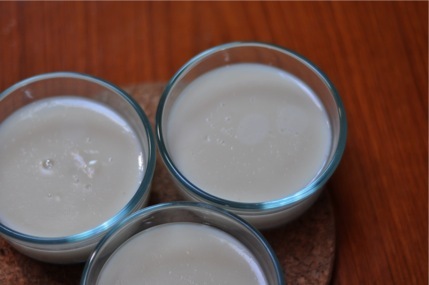 Gently heat 1.5 cups of the milk in a heavy pan or double boiler. 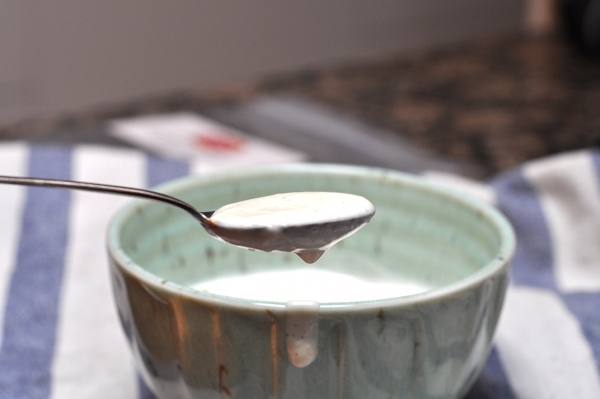 Combine cornstarch or arrowroot with reserved milk, adding this mixture to the pan when the milk is hot. Stir in sugar, salt, and vanilla and cook over low heat until thick. Reduce heat further and cook gently for about 8 more minutes. Mix 1 cup of the pudding with 2 eggs, then return to the pan and continue cooking, stirring constantly. 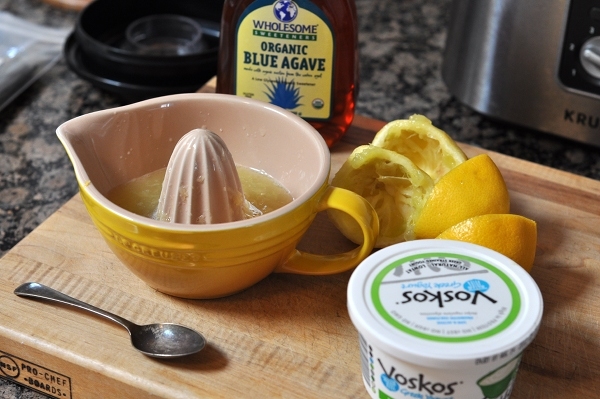 Serve warm or pour into bowls and chill. Garnish with toasted coconut and/or chopped nuts (fresh fruit would be excellent too!). I poured my pudding into 3 dishes, covered them, and chilled them till dessert time. Mine was not particularly thick when I stopped cooking it and I was worried that I’d somehow screwed up. The pudding had thickened by the time we ate it that evening, though. 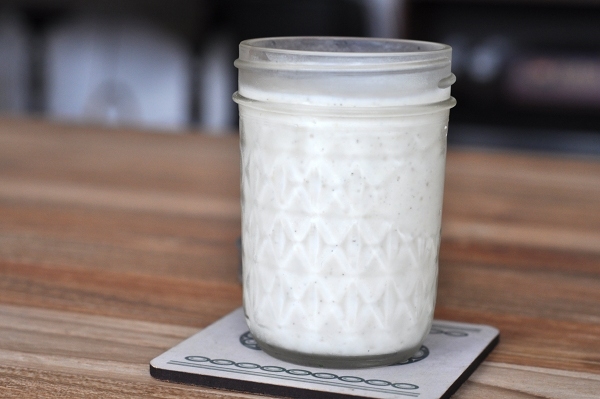 I love this simple, smooth vanilla dessert with a dollop of whipped cream! 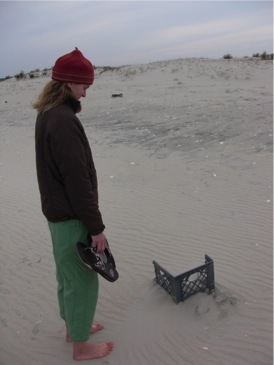 Me, pondering half a milk crate on Assateague Island. I really need one of these to carry groceries on my bike! I’d like to invent a new meal, like brunch, but not quite. If brunch is somewhere between breakfast and lunch, what would you call a breakfast-dessert combination? I realize that several other meals come between breakfast and dessert so they’re not adjacent time wise. Still, many of us like to start and end the day with something sweet. Among these sweet dishes, a few gems can show up on either the breakfast table or the dessert tray: coffee cakes, pastries, waffles…okay, so maybe there are a lot of really unhealthy breakfasts out there that are actually just dessert in disguise. There are also treats nutritious enough to be morning fuel and stand in as healthful, sweet-tooth satisfying desserts. This pudding is one such treat. A creamy, whole-grain, slightly sweet bowl of mush may not sound like dessert but believe me, it’s heavenly. It’s not particularly photogenic, as you can see, but it tastes much better than it looks! Rice pudding lovers everywhere must give millet a try. With extra cooking and plenty of liquid, millet breaks down into a starchy soup that naturally congeals to make a perfect pudding. 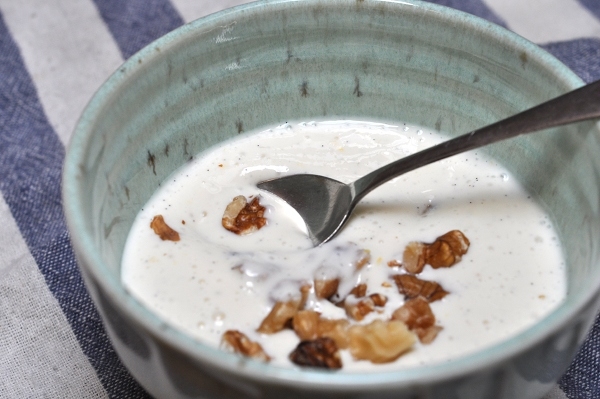 It’s nutty flavor pairs well with warm spices and milk – dairy and non-dairy alike. I’ve never made rice pudding but it’s been on my list for a while. Yesterday I was craving something different in the pudding category and remembered a millet congee I’d made last winter. While not a dessert, the congee had an amazing texture and could have gone in either a sweet or savory direction. Couldn’t millet make a nice a pudding, too? 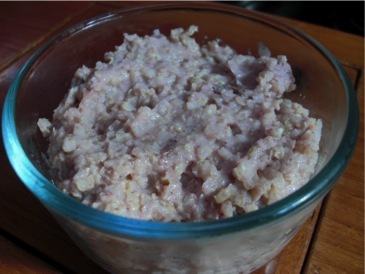 After a little research, I came up with a millet pudding recipe that uses a pressure cooker. With a little adaptation, I had a version that suited me and my ingredients. I am just beginning to explore the joys of my pressure cooker. It was a birthday present from Lee, who knows the benefits of quick, efficient cooking. I have successfully made a couple batches of brown rice that came out beautifully, required a fraction of the conventional cooking time, and freed up the stove top for me to prepare the rest of the meal. The amount of time it takes for the pressure to drop after cooking is just enough for a stir fry. The pressure cooker worked very well for this pudding. The rice pudding recipe in the booklet that came with the cooker does things a little differently. It calls for cooking the rice in one pressure session, then adding the milk, raisins, etc. and pressure cooking everything to make the pudding. That seemed like an overly involved process for a simple dessert and I’m getting stingy with the propane as our cylinder gets low. I went with a throw everything in the pot and cook it once technique. I’ll try making a non-pressure cooker version and post the conventional method when I do. I intended to add a cinnamon stick to the mixture before cooking but completely forgot until the pot was all sealed up. Instead, I stirred in a teaspoon of cinnamon after the pudding was cooked and it added a perfect hit of spice. Add a cinnamon stick as I originally intended or put the ground spice in at the beginning if you’d like. The pudding gets just a bit of sweetness from the dates. 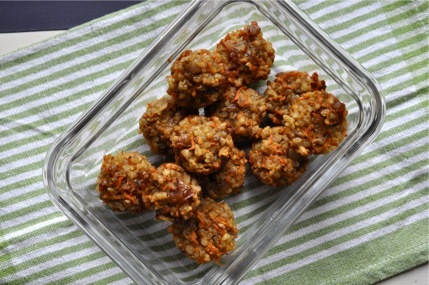 It was just about perfect for me but adding a few more dates would bump up the natural sweetness. Lee topped his pudding with agave nectar so we both got our dessert the way we liked it. Rinse millet and place it in a large metal bowl that will fit inside your pressure cooker. Add milk, water, vanilla, and dates, stirring everything together. Add 1 cup of water to the pressure cooker and place the rack in the bottom (my P.C. slightly elevated metal grate for elevating things off the bottom of the pot). Cover the bowl securely with foil and place it on the rack in the pressure cooker. Secure the lid on the cooker, put the pressure regulator on top, and place over a high heat burner. When the pressure regulator begins to rock slightly, start a timer for 11 minutes. Adjust heat down or up to keep regulator rocking gently. After 11 minutes, turn off the heat and remove the pressure cooker from the burner. Let it cool on it’s own (on mine, the release valve for the lid pops up when the cooker has cooled sufficiently). Remove the pressure regulator, carefully open the lid and use tongs or hot pad holders to take out the inner bowl. Stir in the cinnamon and mush up the pudding to help break up the millet and dates, distributing the fruit sweetness throughout and making the dish more pudding-like. Spoon into individual bowls and top with something tasty (whipped cream, a sprinkle of cinnamon and/or nutmeg, chopped nuts, coconut butter, agave nectar, honey, maple syrup…the list of possible toppings goes on and on). 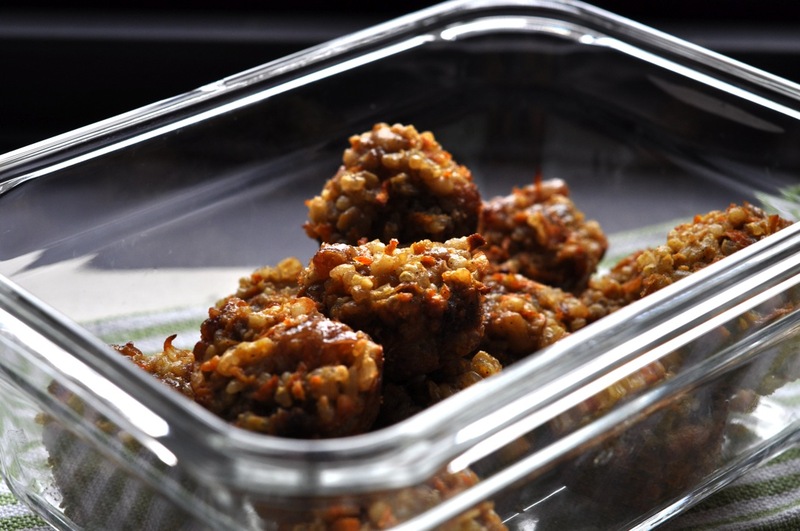 Refrigerate individual servings to save them for later. I think I like mine cold!